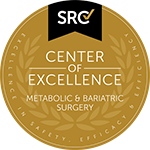 For individuals suffering from morbid obesity or long-term issues associated with excess weight, bariatric (weight loss) surgery can be an effective treatment. Being informed can help you make a decision about your health and assist you in taking the first steps in your weight loss journey. Obesity occurs when an individual’s body weight is in excess of the healthy range for their height leading to a high percentage of body fat. What are the causes of Obesity? Low back pain or Backaches. Feeling tired all the time. Joint pain (especially weight bearing knee and hip joints). The Body Mass Index (BMI) is the most commonly used method for determining a patient’s weight category. The BMI is calculated by measuring the height and weight of the patient. A GP may ask additional questions about your lifestyle and any potential underlying health issues. Body Mass Index (BMI) is measure of body fat based on height and weight that applies to both adult men and women. BMI does not differentiate between body fat and muscle mass. Therefore, body builders and people who have a lot of muscle bulk will have a high BMI but are not overweight or obese. Fat predominantly distributed around the waist is also a risk factor for health complications such as cardiovascular disease and type II diabetes. Fat predominantly deposited around the hips and buttocks doesn't have this same risk. If an individual has a BMI of over 30 they are considered to be obese. Other obesity measures are when a patient's weight is 20kg or more above his or her health weight. A patient is considered to be morbidly obese when either of the above conditions are met and at least one other obesity-related health conditions (co-morbidity) is existing. Morbidly obese patients may qualify for weight loss surgery. Why should I treat my Obesity? For individuals suffering from morbid obesity or long term issues associated with excess weight, bariatric (weight loss) surgery can be an effective treatment. 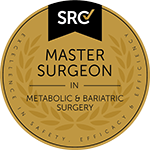 Advanced Surgicare provides three weight loss clinic locations to serve you in Kogarah, Campbelltown and Bella Vista which allows a short trip for anyone seeking bariatric surgery services in Penrith, Camden, Blacktown, Castle Hill, Baulkham Hills, Hurstville, Rockdale, Miranda, Caringbah, Harrington Park, and Narellan. To schedule a consultation with Dr. Kuzinkovas, please contact Advanced Surgicare Clinic by calling 1300 551 533.